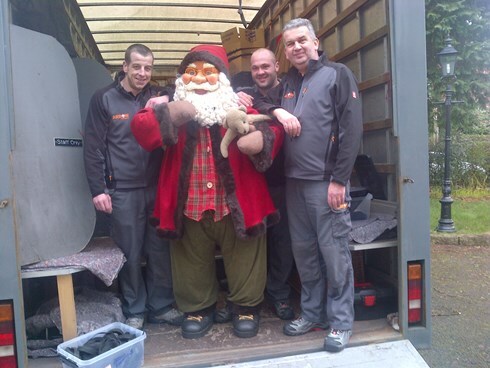 Arrow Removals are a professional and reliable removals company based in Northern Ireland. We carry out house removal services to and from the UK and Northern Ireland. See below for information about our packing processes or for more information please don't hesitate to contact us. We will undertake the process of carefully packing just your fragile items, such as glassware, china and ornaments. All the contents of your kitchen cupboards can be packed away along with any other fragile items in the house. We can pack all your personal items on your behalf including clothing, kitchen contents and all fragile items. The full house pack service incorporates all of the above and includes all garden and outdoor items too. Boxes and packing materials are provided and included in the price. All boxes packed by Arrow Removals will be marked appropriately according to the contents and the room from which they came. High value possessions and items of furniture can be wrapped in soft, quality materials with all the joints taped closed, ensuring maximum protection. Alternatively, we can offer a full range of packing materials in order for you to pack your own goods. We have standard packing cartons for normal household goods as well as smaller boxes for books, CDs DVDs etc. Additionally, we can also supply all the essentials you’ll need, including packing paper, tape, bubble wrap, markers etc.